The resurfacing, refinishing and reglazing techniques our trained team uses provides a solution to you to have that chip or crack repaired…without having to completely replace the fixture! Damage to sinks and tubs occurs for many reasons. It could have started during the shipping of your sink or tub. Maybe something heavy dropped into the tub or sink. Sink and tub chip and crack repair can bring back the luster and beauty of your fixture. It also allows you to enjoy the use of your tub and sink for many more years to come. 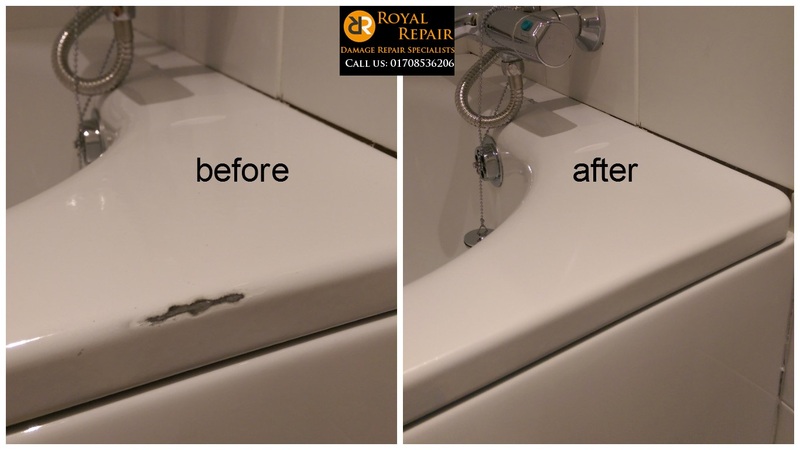 Many different surfaces and materials that are used in making tubs, tiles and showers can be repaired by the experts on Royal-repair team. 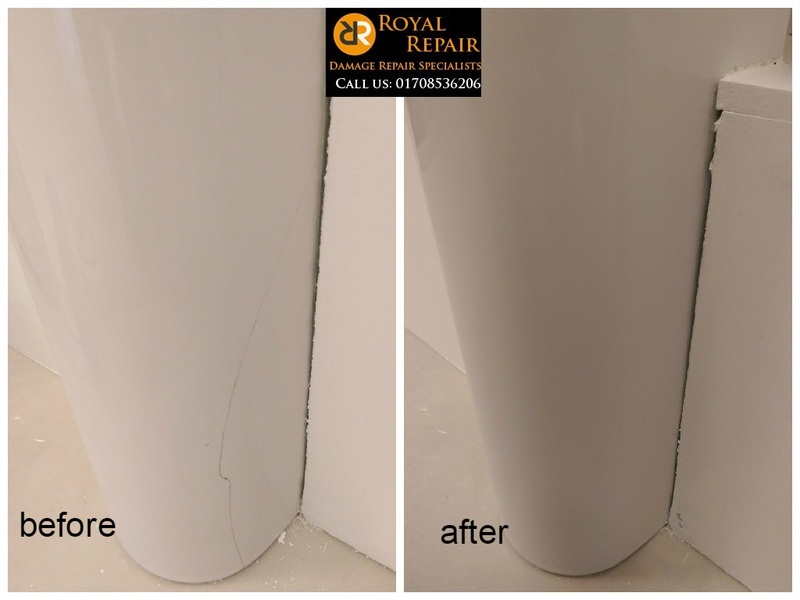 It is important to know that there is a huge difference in the finished look and durability, when our team fixes your cracks and chips versus incompetent repair guys, who got their DIY kits and cheap materials on internet shops and which repair will last no longer than few weeks. 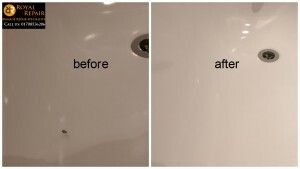 When you consider the cost of a full replacement of your cracked or chipped tub, shower, bath or sink, doing the repair job right the first time is important. For expert results, it does take professional training and years of hands on experience to produce a quality finish. 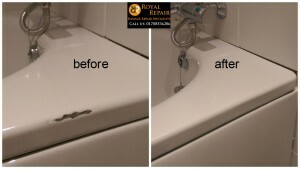 If your goal is to repair your sink or tub so that it looks like new the first time, then call us today. We provide services in London, Kent, Surrey, Essex, Berkshire, Hertfordshire, Suffolk, Cambridgeshire, Bedfordshire, Oxfordshire, Berkshire, Hampshire, West and East Sussex.